I really dig the update, I know it's not everyone's cup of tea, but I think it's a vibrant update. I really wish they had stayed at 41mm or even less, arrive 39-40. I have a small wrist and they just feel a little too big. I don't mind the size increase. I've seen several 2254's measure just over 41mm. Mine measures in at 41.7-41.8 between several different mics used. No matter if I measure 8->2 or 10->4. But, like you, I think a 38mm-38.5mm would sell like gangbusters. The size is a good increase even if the mics don't measure much change. It is equivalent to the Rolex Maxi case. I have owned two other 41mm versions and this is a beefier watch, I love it. Great first time post! Thanks. I noticed the additional height more than the diameter. I'll grab some wrist shots of the two the next time I see my buddy. BufordTJustice and Londonboy like this. I think it could be intended for certain portion of market that still yearns for bigger divers. 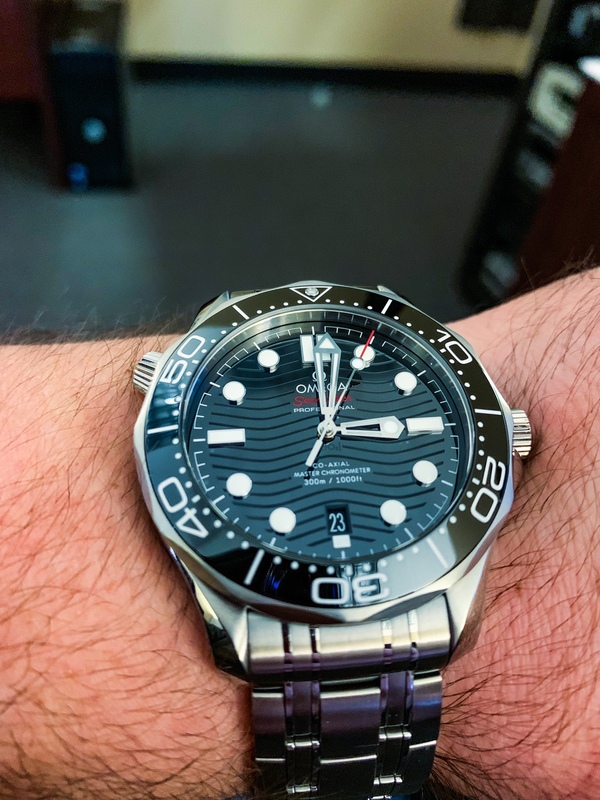 Look at Rolex SD43. The size increase was not necessary IMO, but Rolex still did it. I think standard size divers should be kept to 40-42mm. Yeah I don't understand the size increase. I can still pull it off though. achilles, Cybotron and boatswain like this.